Do you know each of us has a particular purpose? A purpose that fulfills you and shares your gifts & talents with the world? Walking in purpose helps you feel satisfied, needed and for the most part, complete. Did you also know that people are waiting for you to walk in your purpose? That’s right, walking in your purpose has just as much to do with the people you are called to help and influence as it does with you being happy. You will always touch other lives when you’re doing what you were created to do. It doesn’t matter if you’re the next Steve Jobs, a teacher or a stay-at-home mom. What a great thought that you will change someone’s life because you are who you were meant to be! You could very well be carrying someone else’s miracle inside you right now. Here’s the thing y’all, walking in your purpose is NOT just about being well-known or making a lot of money. It IS about touching every life you are meant to reach and bringing everything you are made to bring into the world; every gift, every word, every invention, every drop of love, compassion and attention to every human who is meant to receive it. I’m encouraging you to dust off your dreams, let go of your fears and start doing what you are called to do. Don’t fret if you’re not sure what you’re called to do. It’s not as hard as you think to find out and we’ll talk about how to do it soon. Just remember people are waiting for you to step out and walk in your purpose. Today I’m sharing the inspiration board for a friendship brunch I recently had the honor of helping plan. My client Betty came to me asking for help planning a brunch she was having to celebrate her friend Susan. Susan was a dear friend of Betty’s who passed away unexpectedly this past summer. Her birthday was in November so Betty wanted to bring together a group of Susan’s closest friends to celebrate her memory. 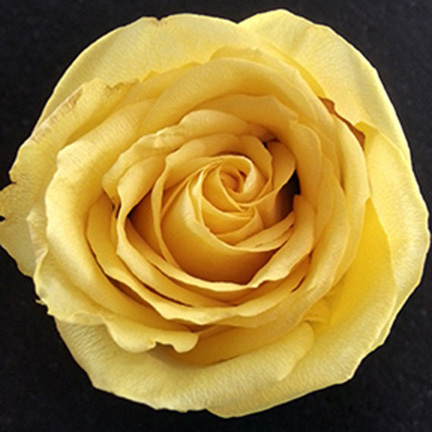 The inspiration for the brunch came from a picture of a beautiful yellow rose taken from Susan’s casket at her funeral. Betty’s daughter-in-law took a picture of the rose she’d been given and kept in her refrigerator for over a month after the funeral. 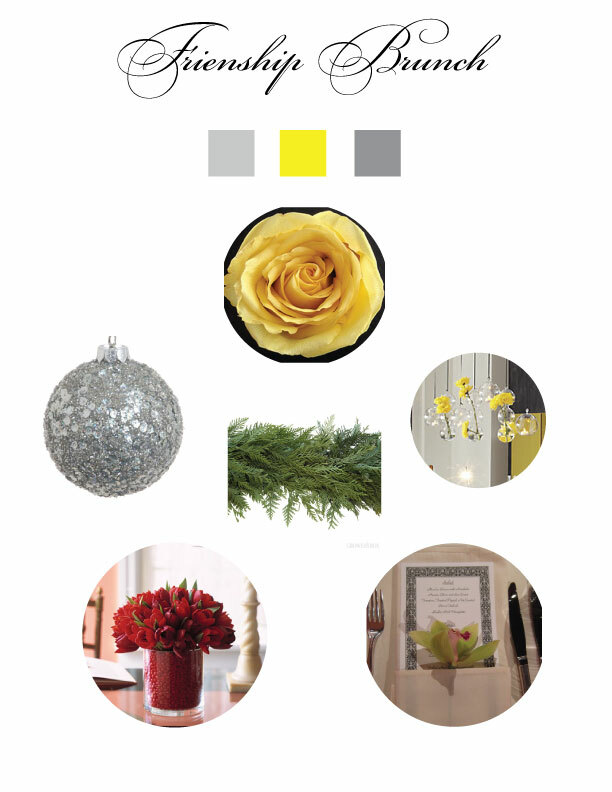 I went with a yellow and grey color scheme and I was oh so excited! This is my favorite type of event to plan, one that has meaning and an obvious attention to detail. Join me later this week when I share pictures of the finished event. P.S. How fun is the idea of a friendship brunch! What a special event to share with your friends. I might just have to use this idea in the near future to get a group of my favorite ladies together.